'Tis available worldwide (only?) on Netflix, as of 2018. The name 'Duncan Jones' will immediately evoke, in the minds of the small but powerful(ly voiced) group of cine-nerds, the masterful 2009 film Moon, and/or the respectable cerebral (get it?!) thriller Source Code of 2011. Garden-variety meathead non-nerds, on the other hand, might recall him as the director of the 2016 video game-to-film adaptation of Warcraft—you know, the movie that absolutely no one was eagerly awaiting. No matter your nerd credentials, then, you probably associate Duncan Jones with a certain cinematographic pizzazz, and like me, your expectations were probably quite high for his latest brainchild, the only-on-Netflix 2018 futuristic neo-noir Mute. The question is, were those expectations met? Nah. But before we get to the bad news, I’ll give the good news. The film is breathtakingly beautiful, leaving no rock of the delectably dirty futuristic Berlin unturned, and what’s more, it is full of quirky little visual predictions of what the world will be like in twenty years (you know, mini-drones delivering food through the drone-only doggy door on windows, etc.). Plus, Paul Rudd was, in my opinion, an excellent casting choice, as his snarky-but-harmless star persona helps mask the darkness lurking deep within his character here. But fans expecting or hoping for the same level of storytelling as was present in Moon, or even Source Code, will likely leave the theater their living rooms somewhat disappointed. The story is fairly predictable from the get-go, and certain things are never adequately explained (like how a bartender, even an unusually tall and lanky one, can use a bedpost to beat down entire rooms full of heavily armed professional thugs, but for the visual flair Jones brings, I’m still willing to watch even rather nonsensical scenes!). It turns out that Mute is an onion: each layer of the story is delicious, but peel them all away to get to the core and you find…nothing. 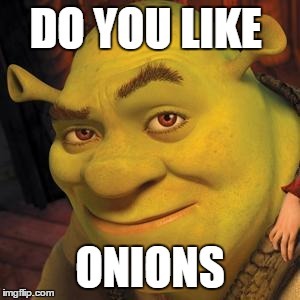 Side note: I’ve never really understood the high value placed on the onion as a metaphoric device. Lots of things have layers, but shouldn’t the metaphoric object get progressively better/more profound as one works one’s way further in? It seems clear to me that, in the realm of vegetal metaphors, the artichoke is king, because while the outer layers might be palatable, the heart is the greatest prize. 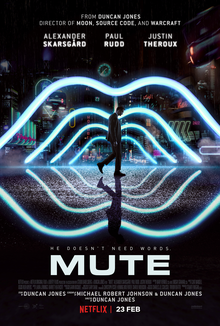 This is all to say that Mute feels like an artichoke without a heart (i.e., an onion), or a story with nothing especially profound to say (the title’s making more sense, eh?). Life is like a box of artichokes--kind of a pain, but on balance worth the effort! This message brought to you by Zhaoyun, demigod of nerdery, who is currently halfway through a series on high-profile Netflix projects of potential appeal to nerds of the world (unite! ), and has been a reviewer for Nerds of a Feather since 2013.